Full name DANIEL DARIEL SALAZAR (del Rosario)...Participated in 2016-19 Tribe Fest and is very active in the community. Did not pitch the entire season after experiencing right shoulder soreness in January and was subsequently shut down during spring training with right shoulder rotator cuff tendonitis...Was placed on the 10-day disabled list to begin the season and was transferred to the 60-day DL on May 3...Progressed to bullpens and live batting practice in April and May before being shutdown several times over the first two months of the season with persistent shoulder soreness...Underwent season-ending arthroscopic right shoulder surgery on July 2 in Dallas, Texas...The procedure was performed by Dr. Keith Meister...Meister performed an arthroscopic debridement and bursectomy on Danny's throwing shoulder...Rehab time away from throwing was 12-to-16 weeks. Showed flashes of brilliance throughout the campaign, but season never got fully on track due to inconsistency and injuries, which forced him onto the disabled list twice and limited him to 19 starts and 103.0 innings...Struck out 145 batters in 103.0 innings, the 2nd-highest strikeout per 9.0 IP ratio in the Majors among pitchers with at least 100.0 IP (see box at right)...Was on the 10-day D.L. from June 4-July 21 (right shoulder soreness) and August 21-Sept. 4 (right elbow soreness). Went 2-2 with a 4.34 ERA in 5 April starts (29.0IP, 26H, 14ER, 14BB, 42SO), going at least 5.0 IP in all five starts...His 42 strikeouts for the month were 2nd-most in the A.L. behind Chris Sale (52) and third-most in MLB (Jacob deGrom 44)...Led the Majors with an average of 13.03 strikeouts-per-9.0 innings in April....Struck out six-or-more batters in each of his first six starts of the season, becoming the longest streak to begin the season by an Indians pitcher since Gaylord Perry also had six such starts in 1975. Proceeded to go 1-3 with a 6.94 ERA in 5 May starts (23.1IP, 29H, 18ER, 6HR, 14BB, 31SO) before being relegated to bullpen duty after start of May 27 vs. KC (season-high 5 walks)...Allowed a career-high 4 home runs on May 16 vs. Tampa Bay, a season-high among Indians pitchers...Made first regular season relief appearance on June 1 vs.Oakland (1.0IP, 1H, 0R) and again on June 3 at KC before being shelved with shoulder soreness... During his first stint on the disabled list, made four Minor League rehab appearances (2 with Columbus, 1 each with Akron and Mahoning Valley)...Went 2-2 in his rehab outings with a 3.38 ERA (6ER/16.0IP) before being activated for the second half run on July 22 vs. Toronto (ND, 7.0IP, 1H, 0R, 0BB, 8SO). In six starts off the D.L. he went 2-1 w/a 2.67 ERA (37.0IP, 30H, 11ER, 10BB, 51SO), striking out a career-high 12 batters on August 15 at Minnesota....Allowed a career-high 12 hits on August 20 at KC & was placed on the D.L. for a second time with elbow soreness (8/21-9/4)...Was activated for Sept. 5 start at CWS, going just 0.2 IP on a limited pitch count, his shortest career start...Pitched in relief on Sept. 11 and Sept. 15 before making spot start on Sept. 21 at the LA Angels (ND, 2.2IP, 2H, 1R, 4SO)...In his last start of the year fanned 9 over 4.2 shutout IP on Sept. 27 vs. Minnesota (16 batters faced). In relief he posted an ERA of 1.59 (5.2IP, 5H, 1ER, 7SO) in 4 outings...Since the start of the 2015 season, Salazar has averaged 10.60 strikeouts-per-9.0 innings, the third-best rate in the A.L. & seventh-best in MLB (min. 300.0IP) ...Enjoyed seven starts in which he fanned 9+ batters...Batters hit .299 (46/154) against him with runners on base and .260 (19/73 with RISP...Right-handed batters recorded an OPS of just .671... Strikeout rate of 53.5% (145/271) with two strikes this season (best among non-qualified SPs in MLB)...Opponents are hitting .144 (43-for-299) against changeup since the start of 2016. Season was limited to 137.1 innings and 25 starts as he was hindered by arm troubles that plagued much of his second half and shut him down the last 3 weeks of the season after earning his first career All-Star selection in the first half… Went 10-3 with a 2.75 ERA in 17 first half starts (104.2IP, 77H, 32ER, 46BB, 118SO, 9HR) and ranked 2nd in the league in ERA and opp. batting average (.204) at the break in addition to being 6th in strikeouts and tied for 5th in wins...Season began to go off the rails around the All-Star break after making his last start of the first half on July 9 vs. New York-AL (5.2IP, 8H, 6R/ER) and was not available for the Mid-Summer Classic due to arm fatigue (also had start skipped for similar reasons in early June)…Made his first start of the second half on July 19 at KC (last win, final 7GS w/o win)...Was on the 15-day Disabled List from August 2-17 with right elbow inflammation and did not pitch after September 9 due to strained flexor musculature in his right forearm, which forced him from his final start of the season at Minnesota after just 4.0 IP (resumed throwing on Sept. 20)….Overall in the second half he went 1-3 with a 7.44 ERA (32.2IP, 44H, 27ER, 17BB, 43SO, 7HR, .321 avg), the 4th-highest ERA in MLB in the second half (min. 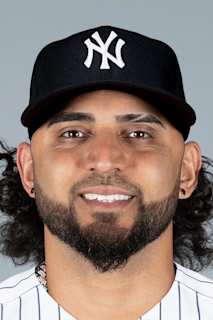 30 IP)...Went 0-3 w/a 12.41 ERA in 4 August starts (12.1IP, 20H, 17R/ER, 10BB, 16SO)...Salazar was voted American League Pitcher of the Month for June, compiling a 5-0 record with a 1.91 ERA and 35 strikeouts in 33.0 innings over 5 starts to claim his first career A.L. Pitcher of the Month Award...Among A.L. starters (min. 25.0), Salazar finished the month 1st in wins, 4th in ERA and T6th in K's…Won a career-high 7 straight decisions from May 28-July 19, which equaled a club season high...Recorded three double-digit strikeout games, bringing his career total to 10, the last of which came on September 4 vs. Miami, equaling his single-game career high of 11 (third time)…Recorded at least 10 strikeouts in two of his last three starts…Struck out 38 of 128 (29.7%) of the batters he faced with runners in scoring position, the 2nd-best mark in the A.L…On the year batters hit just .168 (18-107) off him with RISP…Lefties hit just 200 (47-235) off him, the 7thlowest mark in the league…Walked a career-high 6 batters on May 11 at Houston…Batters hit .213 (45-211) off him with runners on base (5th-lowest in the A.L. )...Worked a season-high 8.0 innings on June 3 against Kansas City (3H, 1R/ER, 5BB, 9SO)…On June 29 at Atlanta, held the Braves scoreless on five hits and no walks with eight strikeouts over 7.0 innings of work...Became the first Cleveland pitcher to notch 10 wins by July 1 since Justin Masterson in 2013...According to the Elias Sports Bureau, he is the third Indians pitcher with 10+ wins & 100+ strikeouts over the first 15 starts of a season, joining Feller (4x) and Luis Tiant...Rehabbed between Arizona and the Major League club during the first two rounds of the Postseason, throwing simulated innings during intermittent stretches of the first two rounds...Produced a pair of scoreless outings in relief in the World Series vs. Chicago. Enjoyed a career season, starting the year with AAA Columbus...Finished the year with single-season career highs in wins (14), starts (30), innings pitched (185.0), strikeouts (195), win percentage (.583) and quality starts (18)...Set single-season career lows in WHIP (1.13), average against (.226) and hits per 9.0IP (1.12)...His .226 opponents batting average was the 13th-lowest in MLB (5th-lowest in A.L., see box at right)... Appeared in one Minor League game with the Clippers after being optioned to Columbus on March 27, tossing 6.0 scoreless innings at Indianapolis on April 10...Recalled to start the April 18 game at Minnesota...Earned victories in each of his first 3 starts with the Tribe from April 18-29, going 3-0 with a 3.32 ERA (7ER/19.0IP)... Went 8-4 with a 3.74 ERA (41ER/98.2IP) and a .236 average against (47-for-369) in the first half...Fanned a career-high 11 batters twice in the first half (April 24 & May 10), tallying the 5th-most K's among A.L. hurlers prior to the All-Star Break (116 SO)...Went 6-6 in the second half, posting a 3.13 ERA (30ER/86.1IP), holding the opposition to just a .215 average against (69-for-321) while posting the 9th-lowest ERA in the A.L. after the break...August was his best career month to date, as the right-hander went 3-1 with a 2.53 ERA (9ER/34.0IP), marking his best ERA in a single month (min. 2 starts)...Finished just 5 strikeouts shy of 200 for the 2015 campaign (195 K's), good for 19th-most in MLB and 7th-most in the A.L (including his 1 start at AAA he fanned 202 batters)...Also registered the 12th-highest strikeout per 9.0IP ratio (9.49) among MLB hurlers - 5th-highest among A.L. pitchers behind Chicago's Chris Sale (11.82), Tampa Bay's Chris Archer (10.70) and Cleveland's Carlos Carrasco (10.58) and Corey Kluber (9.93)...With 3 strikeouts on Sept. 10 against Detroit, Salazar eclipsed 175 total K's, joining Kluber and Carrasco as the other Indians starters to have 175-or-more K's this season...Marks just the second time in club history that the Indians have had 3-or-more pitchers fan 175+ batters in a single season (also 2000: Dave Burba, Bartolo Colon & Chuck Finley)...The right-hander struck out 3-or-more batters in his first 43 career starts, snapping the streak on June 30 when he only managed 2 K's in 7.2 innings of work...Marked the 5th-longest streak to start a career behind Texas' Yu Darvish (83), Chicago-NL's Mark Prior (50), New York NL's Matt Harvey (47) and Washington's Stephen Strasburg (44)...Longest such streak by a Tribe pitcher since 1914, as he passed Bob Feller who managed to pull the trick in 42 straight outings...Was also the 2nd-fastest Indians hurler (since 1914) to reach 300 strikeouts (46 appearances) as Herb Score did so in his 40th career appearance... Went 7-2 with a 2.96 ERA (25ER/76.0IP) and a .217 average against in 12 starts/games at home this year compared to 7-8 with a 3.80 ERA (46ER/109.0IP) and a .232 average (95-for-409) in 18 starts/games away from Progressive Field...His 10.07 strikeout per 9.0IP ratio at home was the 3rd-highest in the American League (11th-best in MLB) behind Tampa Bay's Chris Archer (11.78) and Chicago-AL's Chris Sale (10.62). It was a tale of two seasons for Salazar, who opened the year in the Indians rotation, going 1-4 with a 5.53 ERA in 8 starts from April 4 May 15 (40.2IP , 49H, 25E R, 17BB, 47K , .301 AVG ) before being sent to AAA Columbus on May 16... Returned on July 22 and sp ent most of the second half in the Indians rotation, going 5-4 with a 3.50 ERA in 12 starts (69.1IP , 68H, 27 ER, 18BB, 73K , .255 AVG ) ... Did spend 10 days back in Columbus, August 6-17, before returning for the remainder of the season...Allowed 3 ER or less in 13 of his final 16 starts with Cleveland. Danny's strong second half was highlighted with this first career complete game and shutout on September 3 vs. Detroit (9.0IP, 8H, 0R, 0BB, 9K, career-high 118P) ...Salazar became the first Indians pitcher to toss a CG shutout against Detroit since Jaret Wright on June 1, 1998 at Tiger Stadium - the first to do so in Cleveland since Orel Hershiser on June 5, 1995 ... According to MLB, Salazar (24 years, 235 days) became the youngest pitcher in the Majors dating back to at least 1914 to shut out the Tigers with 9+ K 's and zero walks. Fanned at least 7 batters in 9 of his 20 starts and averaged 9.8 strikeouts p er 9.0IP with a strikeout/ walk ratio of 3.43 ... His 9.8 SO /9.0IP would have been 5th in the A.L. just ahead of Felix Hernandez over a 162.0IP season... In his second start of April 10 at Chicago-AL, Salazar became the only pitcher in baseball's modern era (since 1900) to record 10 strikeouts in an outing lasting fewer than 4.0 comp lete innings (3.2 IP , 6 H, 5 R-E R, 2 BB, 10 SO , 2 HR, 1 W P , 93P , 18BF) ... Only 2 other hurlers have struck out 10 batters in exactly 4.0 IP: Boston's "Smoky" Joe Wood in 1909 and Seattle's Felix Hernandez in 2013 (tied his career-high and set season-high for single-game strikeouts). Posted a 6.04 E RA in 5 Ap ril starts (17E R/ 25.1IP , 5HR) and a 4.70 ERA in 3 May starts (8 ER/15.1 IP ) before being op tioned to AAA on May 16 ... With Columbus, he went 4-6 with a 3.71 E RA (60.2IP , 58H, 25 ER, 28BB, 76K ) from May 20-July 17 and one sp ot start on August 12 during his second, 10-day AAA stint...Struck out 9 batters in 6 of his 11 Triple-A starts and over his last 6 starts he posted an ERA of 2.13 (38.0IP , 27H, 9E R, 48K )...W orked at least 5.0IP in 9 of 11 starts. Through the first 30 starts of his career, he has gone 8-2 w/a 2.48 ERA (32 ER/116.1IP) when reaching the 5.0-inning mark (19 starts) ... When he fails to make it through 5.0 frames (11 starts): 0-9 with a 7.49 E RA (38 E R/45.2 IP ) ... Salazar reeled off a career-high 3 consecutive victories from July 22-August 1, scattering just 4 earned runs across a combined 18.0 innings (2.00 ERA) over that stretch...Over his first 8 starts upon returning for the 2nd half (7/22-9/3 shutout) he went 5-2 w/a 2.30 E RA to lower his season E RA from 5.53 to 3.80. Posted a 2014 club-high and career-best 21.0 consecutive scoreless innings from August 23-Sep t. 8 ... Over his last 4 starts from Sep t. 8-end of season he was 0-2 w/a 6.04 E RA (22.1IP , 27H, 15ER) ... Left-handed batters hit just .246 (41-167, .696 OPS) off him while righties hit .289 (76-263, .786 OPS)...Batters hit .275 (47-171) with runners on base, .288 (23-80) with RISP and .178 (27-152) when behind in the count. Enjoyed a rapid ascent to the Major Leagues after beginning the season as Double-A Akron's opening day starter and concluding the season as a valuable member of the rotation...Had one of the most memorable debuts in club history, evoking the memories of Bob Feller, Herb Score and Jaret Wright as his 65 strikeouts through his first 10 career starts were the most by a Tribe hurler over the last 57 years (Score had a club record 92 in 81.0IP in 1955)...His 11.25 strikeouts per 9.0IP (52.0IP, 65K) are the most in club history among pitchers w/at least 7 starts and 50IP, just ahead of 17-year old Bob Feller's 11.03 SO/9.0IP (62.0IP, 76K)...Was the club's starting pitcher in the first postseason game since 2007, losing to the Tampa Bay Rays, 4-0, in the AL Wild Card Game...Began the year at Akron, going 2-3 w/a 2.67 ERA in 7 starts (33.2IP, 27H, 10R/ER, 51K) before being promoted to AAA Columbus on May 7...On May 2 at Altoona, struck out a professional-high 12 batters...At the time of his promotion to Columbus on May 12, Salazar led the Eastern League in strikeouts (51) and ranked 8th in ERA (2.67)…Made 10 starts for Columbus, going 3-2 with a 3.40 ERA in 10 starts for the Clippers (42.1IP, 34H, 16ER, 13BB, 49K), the last 16.0-innings of which were scoreless, before being promoted to Cleveland on July 11 to make his Major League debut when the club needed a spot starter before the break...Won his debut vs. Toronto in sterling fashion, fanning 7 over 6.0-innings of 1-run ball, becoming the first Tribe pitcher since 1964 and just the fourth overall in the 113-year history of the franchise to strike out at least 7 batters in a debut...Sent back to Columbus following the game and recalled for a second and final time on August 7...Defeated reigning NL Cy Young winner, RA Dickey, becoming just 4th pitcher to win his MLB debut over a defending Cy Young (first since LAD Edwin Jackson over ARI Randy Johnson in 2003)...Around his July 11th debut he went a combined 6-5 with a 2.71ERA in 21 games/20 starts for AA Akron and AAA Columbus (93.0IP, 71H, 28ER, 24BB, 129K, .211AVG)...At the time of his promotion he ranked 1st among all Minor Leaguers in SO per 9.0IP (12.5) and 14th in strikeouts...Ended his Triple-A tenure with a 15.0-inning scoreless streak...In his second start, Salazar registered a career-high 10 strikeouts on August 7 vs. Detroit, which were the most by an Indians rookie pitcher since 2004 (Kaz Tadano)...Additionally, Salazar became the only starting pitcher in the Majors to strike out Miguel Cabrera 3 times in a single game (Cabrera HR'd off him in final at bat to take him out of the decision)... Salazar threw 103 pitches in his start on August 7 vs. Detroit, which is the most he has ever thrown in an outing in his professional career (2013 minor league-high was 89)...In his first career start opposite the White Sox on September 13 at U.S Cellular Field, Salazar became the first MLB pitcher since at least 1916 to record 9 strikeouts in less than 4.0 innings, while not allowing a single run (3.2 IP, 4 H, 0 R, 9 K)...Finished the season strong, going 1-1 w/a 2.52 ERA in 5 September starts (25.0IP, 26H, 7ER, 33K, 11.9K/9.0IP)...Left-handed hitters hit just .216 off him w/a .586 OPS...Batters hit .232 (16-69) w/runners on base and just .121 (4-33) with RISP off him... Batters hit .179 (7-39) off him when they were ahead in the count. Split the season between A Carolina and AA Akron and was dominant over his last 7 outings of the season...Opened the year in the Mudcats rotation and did not throw more than 4.1 innings or 68 pitches in any of his first 15 starts before going 5.0 innings in his last Carolina start of July 31 vs. Myrtle Beach (5.0IP, 3H, 1R/0ER) to notch his lone Single-A win...Over his last 10 starts at Carolina his ERA was 2.02 (35.2IP, 31H, 8ER)...LHH hit .219 (14-64) off him at Single-A. Promoted to Akron on August 3 and made 6 starts...After his debut of August 5 at New Hampshire (4.2IP, 5H, 4R/ER) he went 4-0 with a 0.92 ERA over his final 5 regular season starts (29.1IP, 20H, 3ER, 7BB, 22K, .190avg)...Season-high 7.0 innings on 95 pitches on August 17 vs. Reading (7.0IP, 3H, 1R/ER, 0BB, 8K)...Combined on the year in 22 starts he was 5-2 with a 2.36 ERA (87.2IP, 71H, 23ER, 27BB, 76K, 1.118WHIP)...After the regular season fanned 17 batters in 11.1 innings in the Eastern League playoffs (2GS, 11.1IP, 8H, 6R/ER, 4.76ERA, 4BB, 17K, .200avg)....After the season pitched 5 games (3GS) for Licey in the Dominican Winter League (3.86ERA, 14.0IP, 12H, 6ER, 17K, .226AVG)...Named the 7th best prospect in the Indians system by Baseball America entering 2013. Spent first four months of the season rehabbing out of the Goodyear, AZ complex before making 5 starts for the Arizona League Indians starting on August 3, going 0-0 w/a 2.70 ERA in 5 starts (6.2IP, 2ER, 11K)...Rehab transferred to LakeCounty on August 27, making 3 starts (8.0IP, 8H, 3ER, 2BB, 7K)...After the season pitched for Roneros de Carta Vieja, league champion of the Panamanian Winter League (1.74ERA, 41.1IP, 38H, 8ER, 9BB, 29K). Made 7 starts at A Lake County from 4/10-5/18 before being shut down for the season with right elbow soreness that eventually required reconstructive right elbow surgery on 8/10...Did not allow a run on 4 hits over his last 2 startsof 5/12 and 5/18 (8.2IP, 4H, 0R, 6BB, 7K). Spent season at Lake County...Allowed 1 hit over 7.0 shutout IP on 7/24 at Lexington...Struck out 9 on 7/3 at Greensboro. Spent season at rookie level for the Gulf Coast League Indians...Finished 3rd in the league in starts, 4th in runners per 9.0IP (10.46) and 9th in ERA (2.87). November 1, 2018 Cleveland Indians activated RHP Danny Salazar from the 60-day injured list. September 5, 2017 Cleveland Indians activated RHP Danny Salazar from the 10-day disabled list. August 22, 2017 Cleveland Indians placed RHP Danny Salazar on the 10-day disabled list retroactive to August 21, 2017. Right elbow inflammation. July 22, 2017 Cleveland Indians activated RHP Danny Salazar from the 10-day disabled list. July 16, 2017 Cleveland Indians sent RHP Danny Salazar on a rehab assignment to Columbus Clippers. July 11, 2017 Cleveland Indians sent RHP Danny Salazar on a rehab assignment to Mahoning Valley Scrappers. July 6, 2017 Cleveland Indians sent RHP Danny Salazar on a rehab assignment to Columbus Clippers. June 7, 2017 Cleveland Indians sent RHP Danny Salazar on a rehab assignment to Akron RubberDucks. June 6, 2017 Cleveland Indians placed RHP Danny Salazar on the 10-day disabled list retroactive to June 4, 2017. Right shoulder soreness. October 25, 2016 Cleveland Indians activated RHP Danny Salazar. October 6, 2016 Cleveland Indians reassigned RHP Danny Salazar to the minor leagues. September 1, 2016 Cleveland Indians activated RHP Danny Salazar from the paternity list. August 29, 2016 Cleveland Indians placed RHP Danny Salazar on the paternity list. August 18, 2016 Cleveland Indians activated RHP Danny Salazar from the 15-day disabled list. August 2, 2016 Cleveland Indians placed RHP Danny Salazar on the 15-day disabled list. Right elbow inflammation. April 18, 2015 Cleveland Indians recalled RHP Danny Salazar from Columbus Clippers. March 27, 2015 Cleveland Indians optioned RHP Danny Salazar to Columbus Clippers. August 17, 2014 Cleveland Indians recalled Danny Salazar from Columbus Clippers. August 7, 2014 Cleveland Indians optioned RHP Danny Salazar to Columbus Clippers. July 22, 2014 Cleveland Indians recalled Danny Salazar from Columbus Clippers. June 15, 2014 Columbus Clippers activated RHP Danny Salazar from the 7-day disabled list. May 16, 2014 Cleveland Indians optioned RHP Danny Salazar to Columbus Clippers. August 7, 2013 Cleveland Indians recalled Danny Salazar from Columbus Clippers. July 12, 2013 Cleveland Indians optioned Danny Salazar to Columbus Clippers. July 11, 2013 Cleveland Indians recalled Danny Salazar from Columbus Clippers. May 12, 2013 Danny Salazar assigned to Columbus Clippers from Akron Aeros. March 31, 2013 Danny Salazar assigned to Akron Aeros from Columbus Clippers. March 11, 2013 Cleveland Indians optioned Danny Salazar to Columbus Clippers. October 14, 2012 RHP Danny Salazar assigned to Tigres del Licey. October 4, 2012 Cleveland Indians recalled Danny Salazar from Akron Aeros. August 3, 2012 Danny Salazar assigned to Akron Aeros from Carolina Mudcats. May 17, 2012 Danny Salazar roster status changed by Carolina Mudcats. March 15, 2012 Cleveland Indians optioned RHP Danny Salazar to Carolina Mudcats. November 18, 2011 Cleveland Indians selected the contract of Danny Salazar from Lake County Captains. August 24, 2011 Danny Salazar roster status changed by Lake County Captains. August 3, 2011 sent RHP Danny Salazar on a rehab assignment to AZL Indians. September 21, 2010 Danny Salazar roster status changed by Lake County Captains. May 21, 2010 Lake County Captains placed RHP Danny Salazar on the 7-day disabled list. August 15, 2009 RHP Danny Salazar assigned to Lake County Captains from Mahoning Valley Scrappers. August 11, 2009 Danny Salazar assigned to Mahoning Valley Scrappers from Lake County Captains. May 5, 2009 Lake County Captains signed free agent Danny Salazar.